Sister JoJean Cavalli is known for leading workshops that are designed for supervisors of catechetical programs and classroom catechists working with children in grades K-5 and 6-8. Sister Cavalli has extensive experience as a teacher and administrator at the elementary, secondary and university levels. Her workshops are designed for supervisors of catechetical programs and classroom catechists working with children in grades K-5 and 6-8. Sister JoJean Cavalli has been a member of the Sisters of the Holy Names of Jesus and Mary, Oregon Province, since 1960. She has been a teacher/administrator at the elementary, secondary and university levels. She has also worked as an adjunct professor at the University of San Francisco and University of Notre Dame, and is currently adjunct professor at the University of Portland working with student teachers. 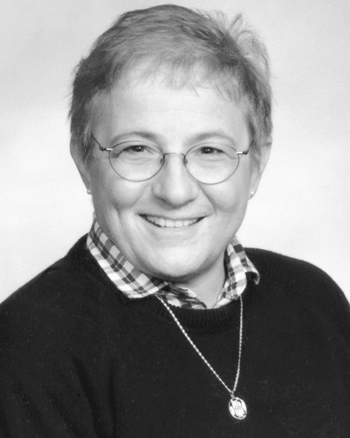 In 1992, the National Catholic Education Association presented her with the Sister Miriam Joseph Farrell Award for outstanding Catholic school teaching. She recently earned a doctor of ministry degree at the Graduate Theological Foundation in Donaldson, Indiana. Her workshops are designed for supervisors of catechetical programs and classroom catechists working with children in grades K-5 and 6-8. These very practical sessions offer help with materials as well as planning tips. Presentations cover the theological, pedagogical and developmental issues for effective teaching.